When my wife and I fell in love, I was racing motorcycles. My dream was to own a motorcycle dealership and travel around the country winning motocross races on the weekends. Just what every father wants to hear. A few months later, I bought Patsy a 100cc dirt bike so we could go trail riding together. Watching her ride, I knew in my heart that she was only doing it for me. Would you believe it? Once we were married, she never ever once got on a motorcycle again! When we were dating, every day I would pull over to the side of the road somewhere and pick a flower for Patsy as a token of my love. Would you believe it? Once we were married, I never ever once picked her a roadside flower again! Once the honeymoon is over, once the dirt bikes and daily flowers come to a natural conclusion, adjustments need to be made. It’s a new season to settle down, set up a home, build a life together, understand each other’s needs, synchronize your lives, and find a rhythm for living together. I have some great news for you. A surprisingly few, but strategic, course corrections can dramatically alter where your marriage will end up in ten or twenty years. 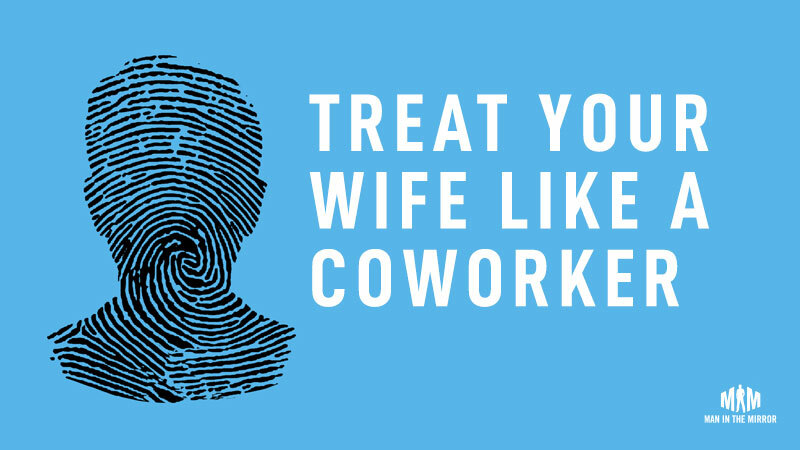 But frankly, I think most marriage problems would disappear if we would simply speak to our wives with the same kindness, courtesy, forethought, and respect with which we speak to our coworkers. ← A Bible, a Small Group, and Serving Someone Else Will Solve 90% of Your Problems ← What’s the Most Important Thing You Can Do for Your Children?